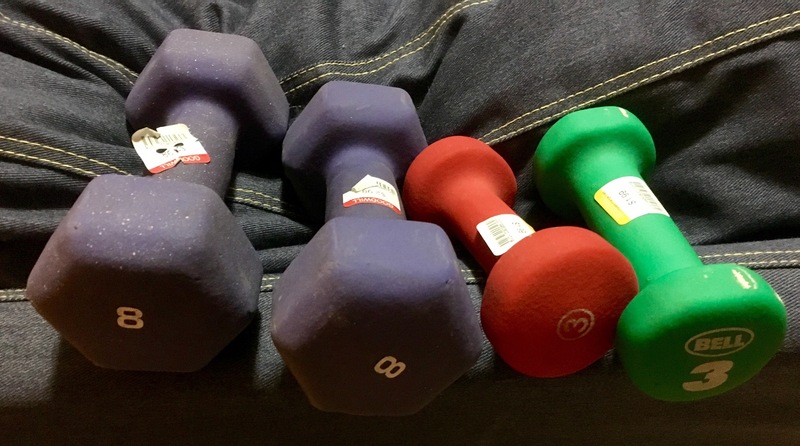 So stoked to have found these hand weights at Goodwill — two pairs for under ten bucks! A new set of 8lb hand weights is like $30+ on Amazon, so I’m feeling very proud of my thriftiness. Watch out, basement circuit training — I’m ready to rock ya!